Self-Publisher’s Showcase: Today we are joined by Kyle M. Perkins, author of the Night Blade series. Welcome to the Showcase Lounge, Kyle. Kyle M. Perkins: Thank you. It’s a pleasure to be here, and I appreciate the opportunity to do this, especially since this is my first interview. KMP: Sure thing. In a nutshell, I’m a man of many talents. I’ve been a professional web developer for almost two decades; I teach courses at a AB Tech Community College; I graduated from Western Carolina University with a degree in Entrepreneurship with a concentration in the Japanese language, of which I ran my own business for about 8 years; I’m a 2nd Degree Black Belt in Taekwondo; and I’m fairly new to the “writing game,” but I rather enjoy the challenge and creativity. KMP: “Perfect writing conditions”? That’s a bit of a hard one, but I’d probably have to say having an idea in my head as my prompt, some good music in the background – either workout music or some rock – and no distractions. I absolutely hate it when I’m in the middle of an idea and have someone or something that requires my attention, then return to the idea and lose my momentum. I just love it when I start writing and get into the “zone,” then take a small pause and realize that countless hours had passed – hopefully not before I need to take care of a scheduled event. However, if I get interrupted, it’s really hard to get back into the “zone” of writing. I write when the moment strikes, which is usually during the night, and, if I’m focusing on a story line, could be every night, into the early hours of the morning. If I’m trying to get some ideas sorted out or create an event or scene, it could be as infrequent as once a week. I will say that when I sit to write, I track my word count and attempt to achieve a “daily word goal,” which increases with each book, but is usually about 1,500 words a day. The majority of the time, 1,500 words per day is a very easy goal, but it keeps me on track. KMP: I know it specifically: November 2nd, 2013. My (now) wife and I had been working on a script for a manga, or Japanese comic, that we both wanted to publish for about seven years, and I was the one with the majority of written ideas, while she was the one with the art, concepts, and more visual-side of things. After seven years, and the comic story line not going anywhere, I came across NaNoWriMo, or National Novel Writing Month, a service to help new authors. I’m not sure exactly how or when I found it, but I discarded the communique without a second thought. Well, after being unemployed for a few months, and not having anything better to do, I reapproached NaNoWriMo on November 2nd, 2013, and saw their challenge: to write 50,000 words in 30 days. I thought, “There’s no way I could do that, but I’ll give it a try.” Using the story lines that we had created, I restructured them into a novel-base and started writing. 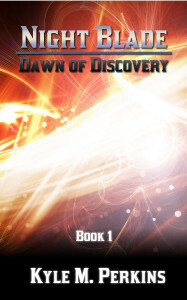 Before I knew it, 22 days and 60,000 words later, my first novel, Dawn of Discovery, was written. When I saw the services that partnered with NaNoWriMo, such as CreateSpace and Smashwords, I found that the process of writing and publishing was something that I fairly enjoy. SPS: Why do you think it is that you have found yourself writing in the style that you do? KMP: It was actually a mistake, really. When I first started writing, I transcribed the story lines that my wife and I had into a novelization, literally taking everything scene-by-scene. The story lines were written in 3rd person present progressive, so my novel series follow the same style. I never realized the style that I wrote in until my mother was promoting my first book to her local church group, saying that I “wrote in the hardest style possible,” noting the present progressive tendencies. I asked her why that style was so hard, and she responded with details of how authors usually write in past-tense, like they’re telling the story. I actually like the idea of having the story unfold little by little, and taking the reader along for the ride, instead of telling the story in past-tense. It makes the story feel like it’s happening in real-time, instead of just being told after it happened. That’s just my perspective. SPS: What would you say if anything, best differentiates you from other authors? KMP: Ah, the age-old business question. Honestly, I don’t know, as the market for authors is extremely large, and I’m sure I’ve only read a small percentage of the available books out there. My expectation is that my stories – my series – allow for taking the reader through an enjoyable ride of second guessing the outcome. Many of my current readers enjoy the fact that my first series gave a few clues to the ending, and kept them hooked till the end, but the ending was still quite a surprise. 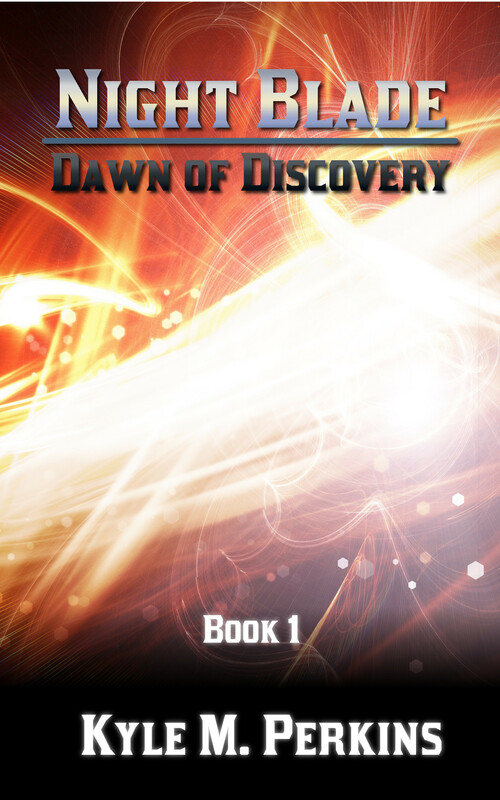 SPS: Can you take a moment to tell us all about your debut release Dawn of Discovery? KMP: As mentioned before, it was originally a combined effort of my wife and I, but I decided to turn it into a novelization through the help of NaNoWriMo. The overall story just started evolving from the first sentence, and before I knew it, I had already created an intricate web of events that eventually tied the end of the series together, but even I didn’t know how the series would end. I’m just glad I was able to set up the initial events and tie them together. SPS: Where did your inspiration for the Cat-Demon aspect come from? KMP: My wife and I really like cats, and I wanted our original manga to be about a half-cat demon, as a popular anime series is about a dog demon, and we wanted to have an original concept to work with. Additionally, I wanted a character – and series of characters – to have a normal human perspective and a demonic perspective, to help with the different relationships throughout the series, instead of just one or the other. We wanted to start with something that we knew, and the anime series in question was fresh on our minds, so we used that as a base and created from there, tying in various concepts and story lines from other novels and TV shows that we liked, all wrapped together in a connected story with some original content. SPS: What can you tell us about your protagonists Niko and Chisai? KMP: In a nutshell, Niko is the primary protagonist in the series, as it primary starts and ends with him. He’s the half-cat demon that I spoke of before, and he tries his best to do with what he can. We learn that his father used to be a full fledged cat demon and eventually became human, but because of the half-demon genes, he has to go through specialized training to learn how to harness his demonic side. Chisai, on the other hand, is a normal human, but after a tragic accident, she gains her own set of demonic abilities, becoming a “synthetic demon.” The two of them eventually become close, mainly because Niko is the one that looks after Chisai. SPS: How do they both react to their abilities? KMP: Niko has known of his since early childhood, and has only begun to understand the finer extent of his full abilities. However, Chisai’s abilities are fairly new, and when she first discovers them, it takes her by a bit of surprise, especially since she goes up against a person with earth-like abilities. The best part of her abilities is that they come with a weapon, which is unusual for half-demons. SPS: Are there any other characters of note readers should be on the lookout for? KMP: The best ones that come to mind would be Lord Tora, who is Niko’s trainer with a hidden agenda, along with Atamin, Yakedo, and Mizu, who, until the last book, we figure out are good or evil. SPS: How have reviews been so far on your series? KMP: So far, very positive. Many readers like the fact that because of the writing style, the story grabs hold and takes them along for an intense ride, all the way up to the end. I enjoy the fact that most people have been trying to guess the ending, and when it comes (for those that have read the 4th book), is quite pleasant to complete the story and fill in the gaps. SPS: With the fourth book out soon how far do you plan on taking Niko and the gang? 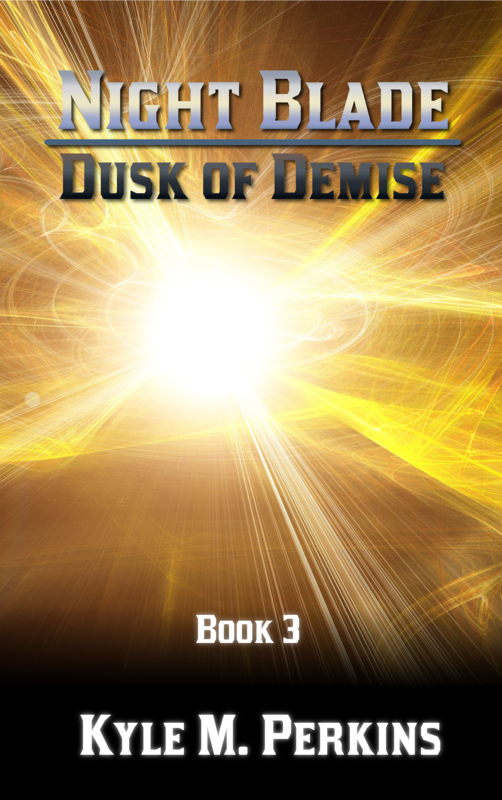 KMP: The 3rd book ended with Niko initiating his latest attack, the titular attack, Night Blade, which makes him disappear in a wisp of black smoke, leaving his friends trapped at the mercy of two elemental enemies. The 4th book explores his latest attack, eventually coming to the point of his decision to remove his demonic side. However, with the ever-unfolding evil scheme on the horizon, Niko’s friends worry that they may not be strong enough to overtake it, especially since Niko’s demonic side is gone. They gather their forces, learning more about their so-called allies, and go up against the evil force, which they are no match for. That’s about as much as I’m willing to spill without giving away the 4th book. SPS: What’s next on the self-publishing horizon for yourself? KMP: I believe that Night Blade is finished for now, so I’m doing research for my next series. I have many series in mind and various notes scattered across my computers, notebooks, and office. However, based on my notes, I believe that the one I have the furthest progress on is Omega Noir, a series following a “street-smarts” character and exploring the world of magic. Imagine “Harry Potter” meets “Hunger Games” meets “Game of Thrones,” to put it simply. The overall concept is, “you are following destiny’s path, whether you want to or not.” I’m hoping the first book of that series to come out next year, but only time will tell. KMP: Not really. When I first researched the idea of “publishing,” I did research on a lot of many large-name publishers, finding out their submission guidelines, wait times, and requirements, almost becoming scared at the idea of entering the market. Then, through NaNoWriMo, I found CreateSpace, an independent publishing platform with Amazon, which is great for getting public exposure, especially when someone asks, “Where can I get a copy?” and when I answer, “On Amazon,” they are quite surprised. The best part is that the orders are “print on demand,” so I didn’t need to buy a thousand copies from a big name publisher to get started. Although, they’re not perfect; a lot of local bookstores don’t accept “print on demand” books because they undermine the “local market”, and other big chains bookstores won’t allow for certain events because “print on demand” books aren’t returnable, so self-publishing is a great start to get established – especially for the price point – but not an end-all choice. KMP: The writing, the creativity, the process – yes. I have always enjoyed writing, whether it be code or stories. I know that I’ve only begun in the industry, and hope to learn more and enhance my stories over the years. The marketing and publishing – not really. I didn’t know what to expect when I first entered the market, and uncovering the shortfalls is just part of the process. It is a challenge figuring out which channels to go through and finding out which 3rd party services are trustworthy or not. KMP: Just do it. Really. I’m being honest. I always hear people say, “I wish I would have written a book,” and they never do. If you have an idea for a story, start writing – see where the stories take you. I like to quote Jodi Picoult when talking about this, saying, “You can’t edit a blank page[,]” and it makes sense when writing. Just do it. The only thing holding you back is yourself. Nobody is keeping you from connecting pen and paper and creating a story. Additionally, your first story doesn’t need to be a 100,000 word best seller. Some of the greatest authors of all time have stories that range from just a few sentences to only a few pages. To give a brief example, Charles Dickens’ first story, “A Dinner at Poplar Walk,” was only about ten pages long. SPS: Before we bring this interview to a close, it’s your chance to name-drop. Anyone who you feel is deserving of more recognition at present or someone whose writing you have recently enjoyed? Now is your chance to spread the word. KMP: A few people of note I’d like to mention would be Aaron Rosenberg, David Mack, Gabrielle Charbonnet, Russel T. Davies, and my wife, Keat Perkins, whose pen name is “Niko Brooks”. In brief, I met Aaron Rosenberg at ConCarolinas 2013, at which I attended a panel of his on character creation. That meeting progressed my interest in writing, and he has been a great resource to get more insight to the actual process of writing and publishing. Additionally, because of Aaron, I am now a Panelist at ConCarolinas 2015 in a week, so I’m really excited to be following in his footsteps. David Mack is in the same genre as Aaron (“Star Trek”-like books), and his works are really where I get my storytelling from. David’s stories are really the “grab hold of you and take you on a ride” where you can’t put down the book, and if you do, you can’t wait to get back to it. I really enjoy that. Gabrielle Charbonnet is the one that got me into “Witch & Wizard,” and really got me into James Patterson’s books. Her storytelling is a lot like David Mack’s, but I can’t proceed with the latter “Witch & Wizard” books because the writing style changes so drastically, mainly because of the different authors, and they don’t have the same appeal as Gabrielle’s work and it’s hard to dive into the stories. Russel T. Davies, although technically not an “author,” helped me understand – and introduced me to – storylines that deal with a foreign body and adventures – mainly the reboot of “Doctor Who,” who, thanks to Davies, I am now a fan of. I appreciate his different takes on stories, the progression of the details, and the overall ending of episodes. Lastly, not to give a shameless plug or anything, but my wife, Keat Perkins, has a good writing style. I believe that she started writing because of me, and I enjoy being a role model for people, many of which have started writing because I am writing. Her style is definitely unique, and her storylines delve on more “character development” than “story,” but in some cases, a “character development” progression is needed. I’m hoping one day that we can collaborate on a story and publish it together. SPS: Thank you for joining us today, Kyle, and all the best for the future. KMP: Thanks. It’s a joy being here and I appreciate the opportunity to do this.